I was contacted by a wonderful company, cvsflags.com and was asked to do a flag giveaway! I am excited about this, because the website is so great and there are so many flags to choose from! I never even knew there were that many flags! Flags for each state, flags for each branch of the military, different types of U.S. flags, Religious flags. It’s pretty cool! 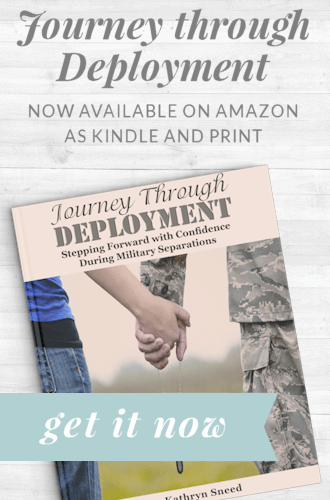 I know there are a lot of military spouses who read my blog, and I hope they jump at the chance for this, if they do not already have one. But even if you are not military, you can still join the giveaway and win a U.S flag to show your patriotism! 2. A creative way to hang or display a U.S. flag. Contest ends March 20, 2010. I would love the 4×6 US Flag in the polyester. My flags seem to never last very long out there flying high. I definitely love my flag!! A creative way? May not be creative but I have one that I have flying on my awesome flag pole outside (got my new light to put outside to shine on it the other day and when the ground thaws it's going in), then I have one that I fly on one of those short 3 foot poles off the side of my deck that goes into my home daycare room, and I have a awesome cotton flag hanging inside my daycare room so that my daycare kiddos can say the Pledge of Alligence to everyday. Grabbed your button and it's on my right sidebar under cool happenings. I am looking for high quality flag for my yard!! I shared it on facebook, not sure how to get a link though. My grandfather is a retired Army Command Sargent Major. I would hang the flag proudly in his bedroom. Across the center of the roof, held by strings that go to the corners of the roof. He works the grave yard shift as a security guard, meaning he spends most of the day in his room sleeping. I think it would bring great joy to him to wake up and see the flag, to remind him of everything he did for this proud Nation many years ago. It would be a tribute to him and his brothers and sisters who have passed, retired, and are still out there fighting for freedom right now. I would be so excited if I was able to do this for him. I hope I win, but I wish everyone the best of luck. Since we already have a 3×5 US flag and a 3×5 POW/MIA flag I'm thinking we totally need a 3×5 Air Force flag to go with the other two. It's not necessarily a creative way of displaying them, but we put our flags side by side on the wall of our "office." I'll be adding the button to a post now. I grabbed the button! It's on the left sidebar of my blog. Hello! Just stopping by from SITS. You have a great blog here! I would love the army flag as my brother is part of it. I think a creative way of using a flag would be to put this up in someone's room as a decoration piece on the wall or across something. I would love either the usa flag or army flag. We just bought a new house and would love to wave the flags with pride. we all need to support the troops and families for we do. My American flag is in need of replacement. The air force flag or the blue star flag for my husband who is currently away. 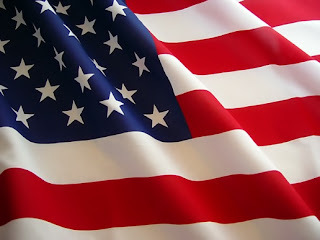 I would love an American Flag to hang from my porch to surprise my husband when he returns home from his deployment. Not too much longer! I will make a sign to hang from the roof, and have the flag hang from the porch side. and line the property with MANY little flags. Can't wait. My son is planning on doing Army ROTC in college, so the Army Flag would be a perfect edition to his dorm room. I would get a Marine Corps flag. My brother is about to leave for his second tour in Iraq/Afghanistan and I would like to hang a flag from the day he leaves until he comes home. I am so happy I stumbled upon your blog. I love what you write about. I am not a military wife, but a military mom. My second son is proudly serving in the US Army. We already fly a US flag every day, but I would love to have an Army flag to fly too. Matt is scheduled to come home in June before he deploys to Iraq and I would love to surprise him at his homecoming with this. to hang off the balcony railings. I have the American flag in the flagpole on the front of the house and my blue star flag in the window for my son in Afghanistan. The Army flag would be the perfect addition. Thank you for the chance to win.